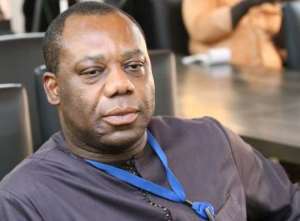 The government of Ghana, under the Secondary Education Improvement Project (SEIP) has negotiated an additional $40m from the World Bank to support the Free Senior High School (SHS) Policy, the Minister of Education has said. Dr Mathew Opoku Prempeh said this in a speech read on his behalf at the 68th Speech and Prize Giving Day of St. Mary's Senior High School in Accra. Dr Opoku said the Free SHS had increased enrollment at the Secondary level hence the need for government to invest in infrastructure. 'Inevitably, the Free SHS policy means an increase in the number of children accessing high school education, for the simple reason that children, who would otherwise have stayed home because of the financial barriers to SHS education now have no reason to do so. 'This means that as a matter of priority, government has to focus on expanding the physical infrastructure in our SHS's to accommodate the anticipated rise of student numbers in the coming years,' he said. He said government was working hard to fix all issues surrounding the Free SHS policy so that the quality of education is not affected. The Minister added that, government is working to improve girl child education in the country. The Headmistress of the school, Mrs Grace Mansa Eshun, said 'the school was in dire need of staff accommodation', and that, in spite of the many challenges, the school had gone a long way in achieving a lot in her 68 year history. St. Mary's Senior High School was founded on February 6, 1950 by the Catholic Missionary Sisters-Servants of the Holy Spirit. The vision of the Catholic Missionary Sisters-Servants for establishing the school was to create educational opportunities for young girls to receive secondary education with Catholic underpinnings to better their lives and improve upon their prospects for their future. The theme for the 68th anniversary celebrations was 'Empowering Girls to Make Responsible Life Decisions for a Responsible Future'.